Hybrid cloud is the new go-to model for enterprises, but app portability is a top concern. Container engines can help solve that challenge with hybrid cloud orchestrations. A container orchestration engine offers the ability to manage container execution and scale -- a benefit that also applies to hybrid cloud users. Let's consider the emerging trend of using containers and a container orchestration engine to enable hybrid cloud orchestration. The best way to do this is to look at use cases and challenges, as well as best practices. A hybrid cloud consists of a mix of private and public cloud infrastructure. Many times, organizations want the ability to move applications at will between those two environments. The use of containers does a couple of things in this scenario. First, it provides a layer of abstraction between the containerized application and the native cloud platform on which that application runs. Second, this abstraction from the underlying cloud platform allows applications to move more easily from one cloud environment to another, including between private and public clouds. Containers that run within a container orchestration engine, such as Kubernetes, are also able to replicate themselves and run within a cluster. This allows organizations to scale the number of containers up or down to meet the demands of workloads running on public and private clouds. A containerized workflow requires a management stack that is persistent, scalable and reliable for any cloud -- private and public alike. A container's ability to provide and support a distributed file system will fulfill this requirement by offering highly granular integration between public and private clouds. With a container orchestration engine, enterprise developers and IT teams can attempt to build infrastructure that supports container portability between public and private clouds. They can also use a platform that's built by a software or cloud services provider. For instance, Red Hat continues to adapt its container platform for hybrid workflows. The new OpenShift Container Platform 3.4 provides enterprises with the ability to use Docker containers and the Kubernetes orchestration platform to allocate resources, including across public and private clouds. Also, Cloudify provides a container orchestration system that allows container-based applications to run alongside noncontainer-based applications. This includes stateful and nonstateful services, all through a single application blueprint or controller. There's still no out-of-the-box platform or tool that fully abstracts users from the complexity of container configurations and architecture. Despite the fact that containers, orchestration engines and hybrid clouds have been around for a while, there's still no out-of-the-box platform or tool that fully abstracts users from the complexity of container configurations and architecture. Today, this is still very much DIY. Even if organizations use a product such as the Red Hat OpenShift Container Platform, they still need to spend a lot of time to integrate the containers, the orchestration engine and the applications themselves. More turnkey platforms will continue to emerge, but the challenge is that, when building around specific workloads, enterprises are bound to run into issues that they themselves must resolve. For instance, IT teams need to address coupling issues that limit their ability to separate workloads between public and private clouds. Some networking features, for example, are native to a particular cloud platform, which requires organizations to do major rework to move those capabilities across private and public clouds. Still, if hybrid cloud is on your radar and you need a way to migrate workloads across public and private clouds, a container orchestration engine and its enabling technology should be something you consider. Which provider's container orchestration tools fit your needs? Should you use a VM or a container? How have you implemented containers to support a hybrid cloud model? 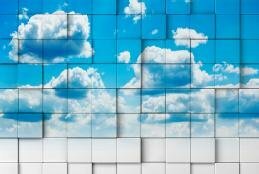 Is container app portability bound to get lost in the cloud? Containers and cloud sound like a perfect match. But how well does containerization help boost application portability? And will the effort be worth it? To make containers work within a cloud strategy, you're going to need to carefully consider the complexities of porting an application from platform to platform. Containers have many benefits for application development, including higher performance in a smaller footprint. But a few hurdles stand in the way of seamless container portability.